The Spring Festival is over, but new life is growing at Renewal. Lao Liang regularly prepares hot, healthy meals for our guests. You gave him a chance, not a cheat! Yuan was right to be concerned. In extreme cases, we've had program participants who were lured into scams and taken to remote farms in western China where they were forced to work. These days, a man living on the streets is more likely to meet a person claiming to be a recruiter who says he can get him a job. He requires a finder's fee or money to buy a uniform and then disappears, never to be seen again. Yuan Fujiang thought the training program was too good to be true. Sometimes the job is real, but the recruiter may be paid handsomely to find employees even for a dead-end job (see a chance to feel safe p.3). But Yuan now says, 'Slowly my fear melted away and I knew the Renewal Center could give me the help and care I desperately needed.' He has now been working with our valued restaurant partner Element Fresh for over five months. Thanks for bringing new hope to men and women on the streets! Your support means the Renewal Center keeps helping people in exciting new ways. For instance, when we noticed that fewer women are joining our residential program, we noticed it's because those we do meet need medical help or have mental health problems. This inspired us to start working with a local hospital to offer free medical treatment to women who would otherwise have to pay for all their care and medicine, when they are simply too poor to afford help they need. Another way we are hoping to make the most of your support is to expand our training program this year, ideally to once again open a café that can train homeless men in restaurant careers. Thanks to you, we can continue to look for new ways to bring hope to people wherever they are - whether they are on the streets or working their way into a new life. You know that Spring Festival is a time of traveling home, celebration with family, exchanging presents and sharing lots of traditional food. It's heartbreaking that many people can't afford these luxuries, which is why you'll be thrilled to know you gave 80 people in need a celebration of warmth, friendship and a hot, holiday meal at the Renewal Center. Our regular guest Lao Liang helped prepare the feast, washing and cutting mountains of vegetables. As an army veteran and former prison inmate, Mr. Liang has earned valuable experience working in kitchens. His help was crucial in serving so many people that day - and inviting them all to come back for seconds, and even thirds. None of the food you generously provided went to waste! The festive meal included favorites like braised pork with pickled greens, chicken and potatoes, as well as hand-made sausages stir-fried with garlic and sprouts. In all, five days of preparation went into making the Spring Festival meal and - in addition to your amazing support - it was our own program residents who did most of the cooking and serving to make the feast truly special. Through you, we even managed to give each one a small gift of cash in a traditional hongbao, as well as a bag full of fruit, nuts and a bottled drink. He knows how dangerous life is on the streets. Here's a picture of just how meaningful your help is. 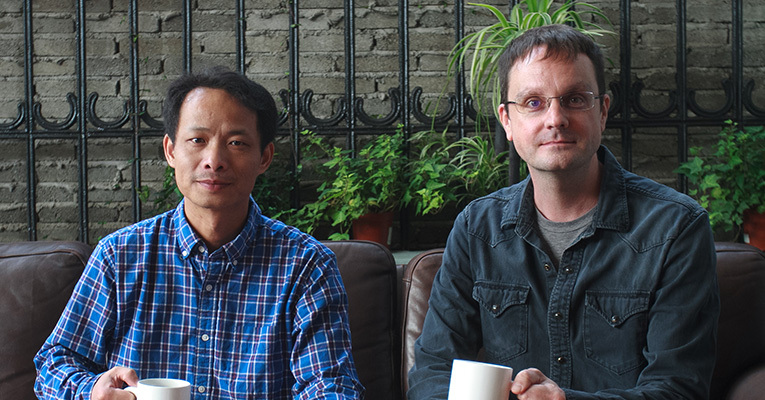 At the Renewal Center, your gifts made Spring Festival more than just a celebratory meal. It gave many people the chance to feel like a part of a family again - and to feel safe. Liu Junyi, age 37, described working in appalling conditions in cities across China, but never earning enough to rent a home. He finally moved to Shanghai because of its low crime rate, which he feels is essential for anyone who would consider sleeping outdoors. I don't have a place to live, I just need some place out of the rain and a warm blanket to sleep under, he says. Liu is often lonely and scared, having seen people robbed or accosted on the streets. But at the Spring Festival dinner, he had a smile on his face, and we do everything for Liu that we can. Ever been so broke you had to leave town? Mr. Li, age 43, drops into the Renewal Center for a hot meal when he is waiting for casual work setting up and breaking down stages. But when demand drops off he struggles to survive - and takes advantage of low-cost bus or train tickets to Inner Mongolia where life is hard, but goods are cheaper. Give meals, help and support to a homeless person and put them on the path to growth and new life. Despite Shanghai's many opportunities, the city offers little help for those who lack the right connections. 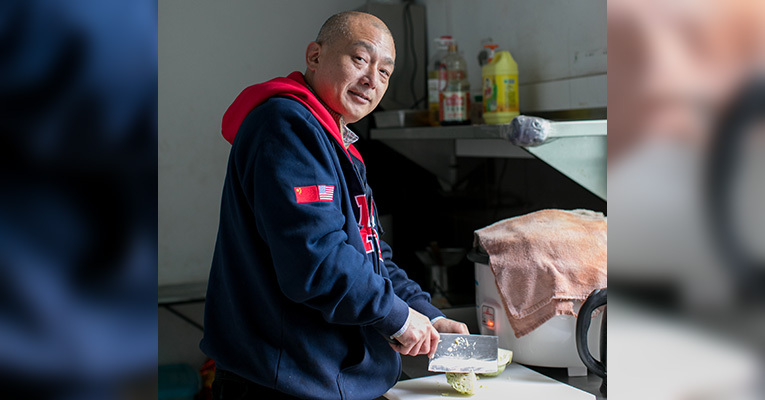 'For people like me at the bottom of society, it's extremely hard to make a living,' says Mr. Li. He reflects how hard it is to even maintain lasting relationships among a class of people who are constantly on the move. 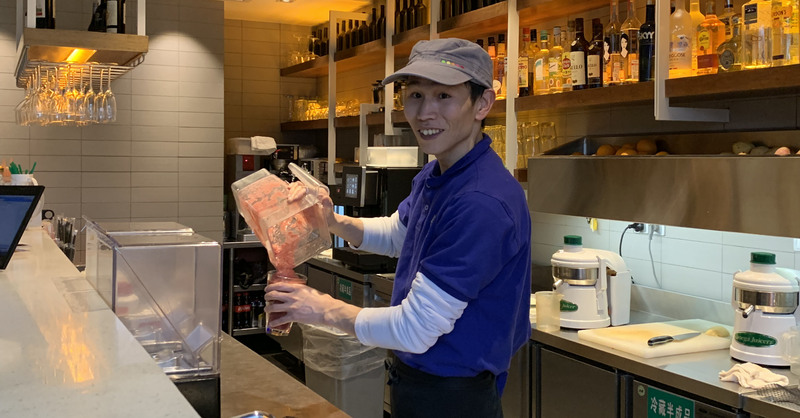 Because he can wash up and do laundry at the Renewal Center, Mr. Li certainly finds more work than he would otherwise and even arranges for people he knows to work with him. Employers find him very reliable, but the work comes and goes. While he struggles to make ends meet, Mr. Li and we are very grateful for your continued help for drop-in services, like laundry, showers, food, warmth - and offers of further help.